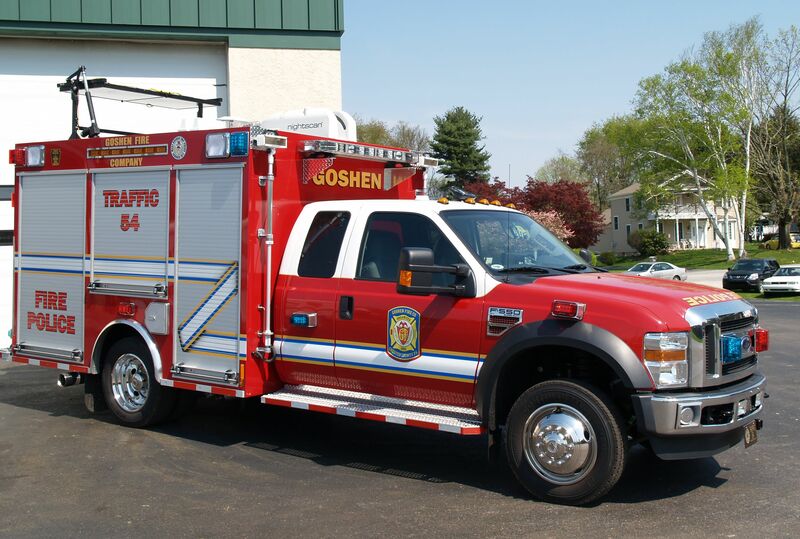 Traffic 54 is a 2009 Ford F-550 Diesel, 6.2 Liter, Twin Turbo Super Cab 4 X 4 with a light rescue type box. It’s equipped with a Harrison 8KW PTO generator which powers a Will-burt 4000 watt light tower and two 750 watt pole lights. In addition, it has a 3000 watt portable Honda generator which powers an additional 2000 watts of lighting. It has an arrow board, on-spots, mini refrigerator and a microwave oven. It carries a full complement of fire police equipment including 60 traffic cones, barricades, flares, fire line tape, radios, flashlights and personal safety gear.